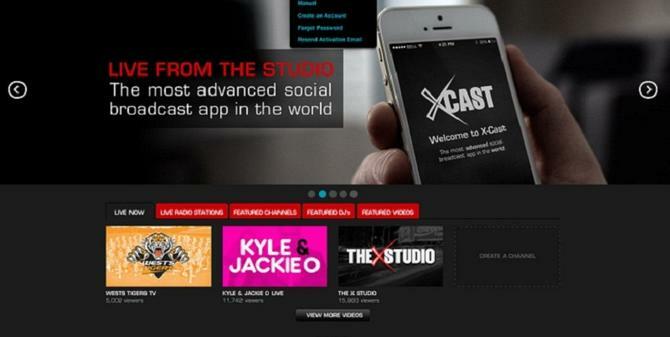 A screenshot showing the XCast app and West Tigers TV portal. West Tigers fans will be able to see what happens with their favourite National Rugby League (NRL) side in the off-season when its own TV station, and associated smartphone app, begins broadcasting in July. The XCast app will broadcast West Tigers TV footage 24/7 from the XStudio in Kings Cross, Sydney and has been developed for iOS and Android devices by Moment Media founder, Ron Creevey. A self-confessed West Tigers fanatic and team sponsor, Creevey told CMO fans will get access to breaking news, such as if one of the West Tigers players breaks the NRL salary cap, player interviews, and off-season footage such as the players training for the 2015 season. The new TV station won’t, however, broadcast matches as the rights to these games are held by Channel 9 and Foxtel. According to Creevey, high-profile sports teams such as the Manchester United soccer team have their own dedicated TV channel. “Advertorials are not worth it these days. Teenagers don’t read long articles, they like summarised quotes,” commented Creevey. The link can be shared via Twitter and Facebook and content will be streamed inside those social network sites. “Fans won’t need to leave those networks to watch the live feed,” Creevey said. The XCast app will store historical footage, similar to YouTube, so fans can go back and watch their favourite player interviews. Players will also be able to post their own “G-rated content” to the app that has been signed off by West Tigers CEO, Grant Mayer. NRL teams have stepped in to moderate their players’ use of social media after former Canberra Raiders fullback, Josh Dugan, posted pictures of himself on Twitter drinking beers the day after the Raiders lost to the Penrith Panthers in April 2013. Dugan also threatened fans with violence on Instagram.